Herron will be the first female inducted into the Disc Jockey Hall of Fame. 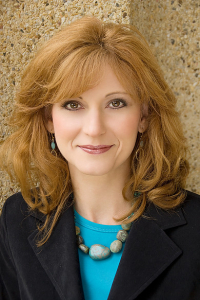 She is a TV/radio personality and PR professional based in Nashville, TN. She is the host of Cheyenne Country TV Show and The Ernest Tubb Midnight Jamboree. She owns her own PR firm. Probably best known for having penned Jim Reeves' biggest hit, He'll Have to Go, Allison is well-known in Nashville for his multi-faceted career as DJ, producer, and television show host. Inducted in 1999, Allison hales from McKinney, Texas. In addition to hosting several radio programs in the 1940's and 1950's, Joe started his own television show, "Country America," in 1957. The program aired immediately after "The Lawrence Welk Show." Allison recognized a talent before many others and signed Willie Nelson to his first contract. "I was so lucky to meet country music's pioneers," reflected Fort Worth radio host Joe Bielinski. A native Texan, Joe was a drummer during high school and at Tarleton State University. For eight years he was the youthful mayor of Mingus, and Joe has become known as the "Mayor of Country Music." Joe traded his drumsticks for a microphone in 1991. For 20 years he has interviewed country music stars, and now he broadcasts his Country Classic Revue over KTFW Radio from Forth Worth's Sundance Square. By the age of seven, Dugg had a desire to be in radio. He comes from the farming and ranching community of Hall County, Texas. Collins says his musical ability was inherited from his mother, Dollie Mae. If it had strings on it, she could play it. Dugg says he has met and worked with every hero he ever had in radio and the music business. He was inducted in 1999. As a radio announcer and pitchman, Paul Kallinger made a name for himself on the station XERF in Del Rio, Texas. He broadcast the "graveyard" shift from 10 until 2 and played what was then known as "hillbilly" music. He hosted such celebrities as Porter Waggoner, Eddie Arnold, Tex Ritter, Ernest Tubb and Johnny Cash. He was inducted in 1999. Inducted in 1999, Mack is known as the "Dean of Country Music Disc Jockeys" and "Radio's Midnight Cowboy." He has worked with the Fort Worth radio giant WBAP since 1969. Blue, performed by LeAnn Rimes was written by Mack in the 1950s. It won Country Weekly's cherished "Golden Pick" Award for being the "Country Song of the Year" in 1997. The song also won a Grammy. 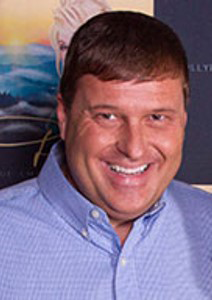 Inducted into the Hall of Fame in 1999, Mike Oatman at one time was co-owner of the largest chain of Country stations in America, yet continued to do a morning radio show. Oatman worked at KHEY, El Paso TX as an air personality, Program Director and Sales Manager between 1959 and 1965. Oatman left the air on June 4, 1999 and passed away shortly thereafter. Inducted in 1999, Tom Perryman was the first regular disc jockey of an all night Country music show on WSM. Perryman started in Country radio at KEBE in Jacksonville, Texas after his high school graduation. He then joined KSIJ in Gladewater Texas and became a charter member of the Country Music Disc Jockey Association in 1953. He was named WSM's Mr. DJ USA in 1954 and then joined WSM Nashville, Tennessee. Perryman currently plays classic Country music in East Texas on 'The Ranch' (KKUS Tyler, Texas/KKFO Longview, Texas/KOUL Marshall, Texas). Born and raised in Brady, Texas, Pitcox attended Angelo State University in San Angelo, Texas. He has been employed by KNEL radio since 1986. He owns Heart of Texas Records, Heart of Texas Recording Studio, Pitcox Rental and Storage Buildings, and the Heart of Texas Events Center. 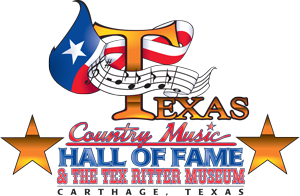 He is also president of the 1,000 member Heart of Texas Country Music Association and the Heart of Texas Country Music Museum. Tracy's radio show Hillbilly Hits provides traditional country fans with an opportunity to hear their beloved music. Larry Scott worked on the air at many of the most legendary stations in Country radio. 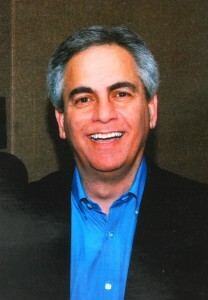 From August 1982 until August 1996, Larry hosted the Interstate Road Show on KWKH AM and FM Shreveport, LA. Larry is a member of the Western Swing Hall of Fame, has been honored as Major Market Disc Jockey of the Year by the Country Music Association and four times as Disc Jockey of the Year by the Academy of Country Music. He was inducted in the Hall of Fame in 1999. Dave Stone Pinkston was born in Post, Texas, but spent most of his life in Lubbock. He started out as a bookkeeper at KSEL in Lubbock, but when the disc jockey walked out, Stone took his place. Because he was so good at his work, he moved up to general manager within the year. Stone is well remembered as being the first station owner to play country music full-time in 1953. He was inducted in 2000. Born in Huntsville, Stover first became a disc jockey in 1949 after playing in a small band during his teenage years. While working at a radio station in Baytown, he became so popular that the radio station changed totally to country music. Stover has worked with the biggest names in show business--Hank Williams, Elvis Presley, Webb Pierce, Jim Reeves and Loretta Lynn. Stover was inducted in 2000. Texas born, Charlie Walker has become one of country music's most popular disc jockeys and honky-tonk singers. In the 1940s, Walker joined the Eighth Army Signal Corps in Tokyo and became the first to broadcast country music to soldiers in the orient. In 1951 he moved to San Antonio and became KMAC's country disc jockey and built a huge listening audience. As an artist, Walker attained his first big hit, Pick Me Up on Your Way Down, on Columbia Records. He was inducted into the Hall of Fame in 2000. A decade ago Dallas Wayne, noted DJ and veteran C&W performer, brought his talents to KHYI 95.3 FM in Dallas, Texas. In 2006 the Academy of Western artists presented him with a Will Rogers Award for Classic Country Major Market DJ of the Year. The following year Dallas moved to SIRIUS XM Satellite Radio, where he may be heard on the air in Outlaw Country and at Willie's Roadhouse, the Texas-based honky-tonk channel. In 2009 Dallas was awarded a second Will Rogers Award for DJ of the Year. He performs as part of the honky-tonk group Heybale. Jennifer Herron Herron will be the first female inducted into the Disc Jockey Hall of Fame. She is a TV/radio personality and PR professional based in Nashville, TN. She is the host of Cheyenne Country TV Show and The Ernest Tubb Midnight Jamboree. She owns her own PR firm.